I felt Christmas atmosphere so with pleasure I started to design new printable cards. 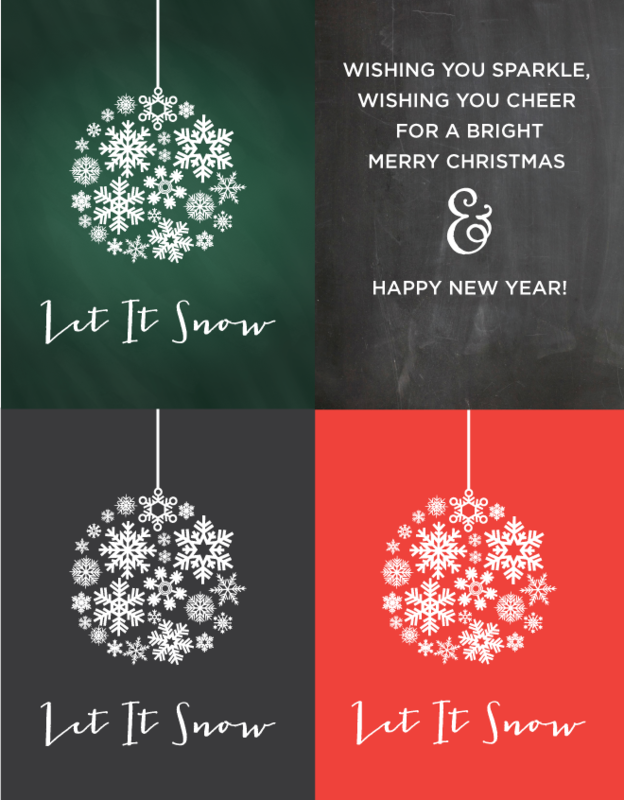 I made "let it snow" christmas poster with snowflakes shaped into christmas ornament on red solid background, on black background and green chalkboard. Also I prepared greeting card (poster to be exact) "Wishing you Sparkle, wishing you Cheer for a bright Merry Christmas & Happy New Year!" on black chalkboard texture.